What do you miss having 5 minutes’ “me time” for, now that you’re a parent? 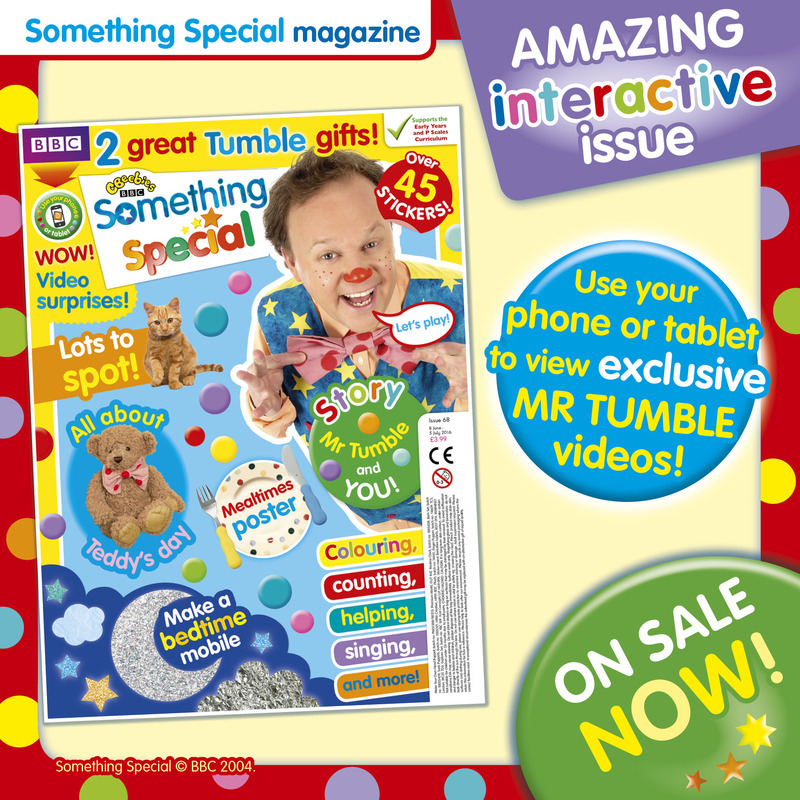 “This special interactive issue of Something Special magazine is packed with fun things to do! With stickers, colouring, lovely makes, a story and much more, there’s hours of fun to enjoy with Mr Tumble and Friends. Plus, use your phone or tablet to watch and join in with exclusive clips of Mr Tumble himself! It’s the liveliest issue ever and sure to make your little one smile. Something Special’s first ever interactive issue is on sale now! To celebrate, we’re offering one Little Tumble the chance to win a year’s subscription to Something Special magazine! To enter, simply visit us on Facebook: www.facebook.com/lovedbyparents and write the words, ‘Something Special’ underneath the Something Special post. Entrants can enter as many times as they would like. One winner will be selected at random to win the prize stated above. The winner has 14 days to claim their prize or another winner will be selected. Competition closes on the 8th August 2016. No cash alternative will be offered. The prize will be dispatched within 30 days. This is in no way affiliated with Facebook. Get the best parenting stories straight into your inbox! Previous article Would you test drive a giant stroller? Win A Little Tikes Construct ‘n Learn Smart Workbench worth RRP: £169.99! WIN a new Super wings World Airport Playset! Would you test drive a giant stroller? Dear Stranger, It hasn’t been easy trying to breastfeed my son. We are a family focused online parenting magazine offering features, reviews, recipes and advice on all things we consider to be Loved by Parents. Get the best parenting stories, tips and deals straight into your inbox before everyone else!